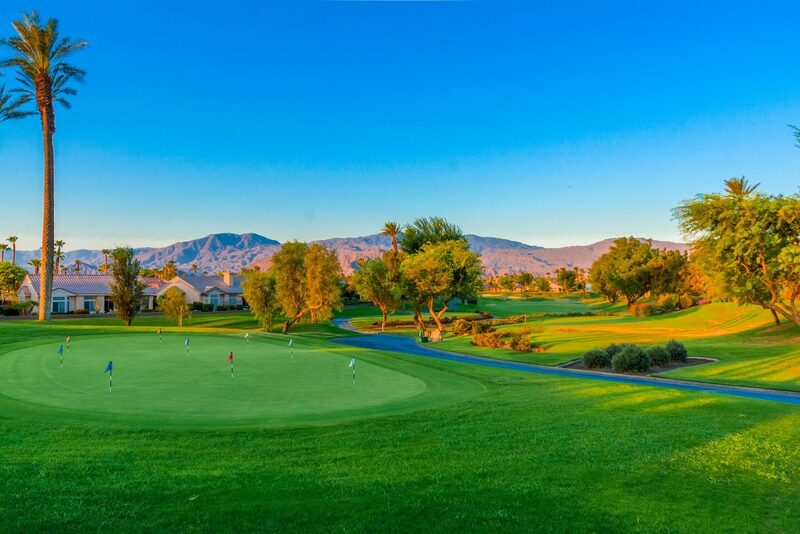 Sun City Palm Desert (SCPD) is a Del Webb built 55+ community located in the Coachella Valley. Within the guard-gated perimeter of SCPD there is a variety of homes with unique sizes, landscaping and over 40 different floor plans on 1,600 acres. Homes in SCPD range from about 1,000 to over 3,000 square feet. 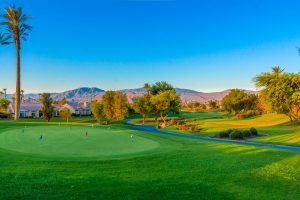 The low HOA fees, safety, security and range of amazing and fun-filled amenities and activities make this one of the most popular communities in Palm Desert. SCPD is a community run for and by the residents. There is entertainment, fine dining and much waiting to be discovered by new homeowners, renters and guests of this state-of-the-art development. This guide includes all the resources you need to tour, rent or purchase a home in Del Webb’s SCPD. Including interactive maps, amenities, clubhouse information, clubs links and more. 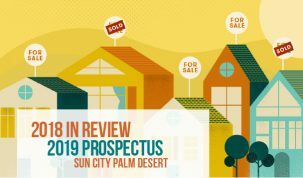 Formerly named Sun City Palm Springs and now know as Sun City Palm Desert (SCPD) this community was built by the legendary Del Webb developer. Construction on SCPD Desert began in 1992 and eventually was completed in 2003, with 5,000+ quality homes. SCPD was conceived to only be comprised exclusively of single-family detached homes. Del Webb was eventually purchased by Pulte Homes making Sun City Palm Desert one of the last true Del Webb communities. Residents of this community now manage all the day-to-day operations, golf course and other contractors via the elected officials of the HOA.